Performance artist and classically trained violinist Abraham Brody will perform Ancestors at the Barbican next week, as part of the Station to Station exhibition. Divided into two parts, each lasting four hours, the performance mixes music and rituals inspired by Lithuanian folk traditions in an attempt to explore to the artist’s ancestral homeland and “create a space where Londoners from across the world can feel connected to each other and something deeper”. 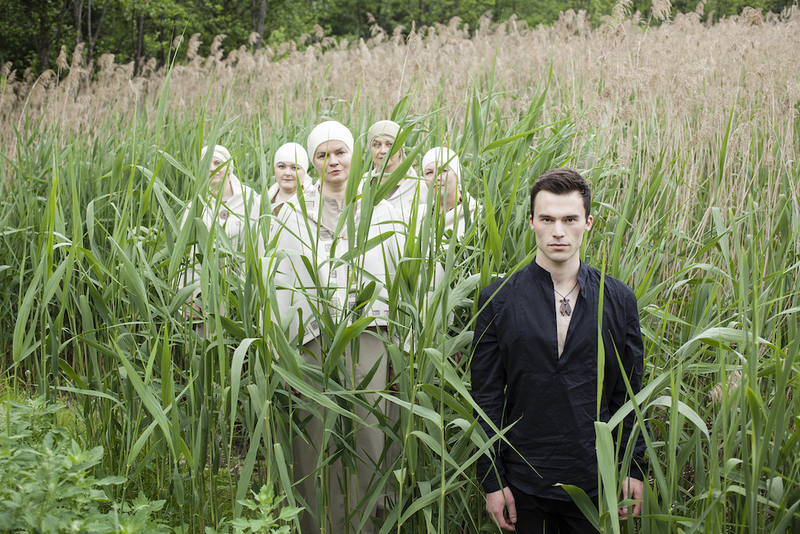 The second part of Ancestors will see Brody collaborate with Lithuanian folk group Trys Keturiose, renowned performers of sutartinės, which are thought to be the oldest folk songs in Europe. Earlier this year Brody collaborated with Michal Rovner at Pace Gallery, London and Marina Abramovic at the Fondation Beyeler in Basel, Switzerland. Station to Station is artist Doug Aitken’s 30 day “living exhibition”, that draws together live performances across music, art, dance, film, as well as pop-up installations. Other performers taking part include artist Olafur Eliasson and musician Beck, among others. Brody’s Ancestors will take place in the main gallery from 2-6pm: part one on the 22 July, and part two on the 24 July. Station to Station continues till the 27 July 2015.